This is what it looks like with 1.5 truckloads of firewood in our woodshed. 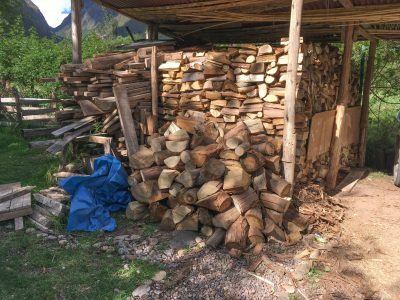 The rainy season will begin here in October or November, and we are getting low on firewood. It’s important to buy firewood several months before you need to use it, so it has time to dry out. We really need to get another truckload of firewood in August.